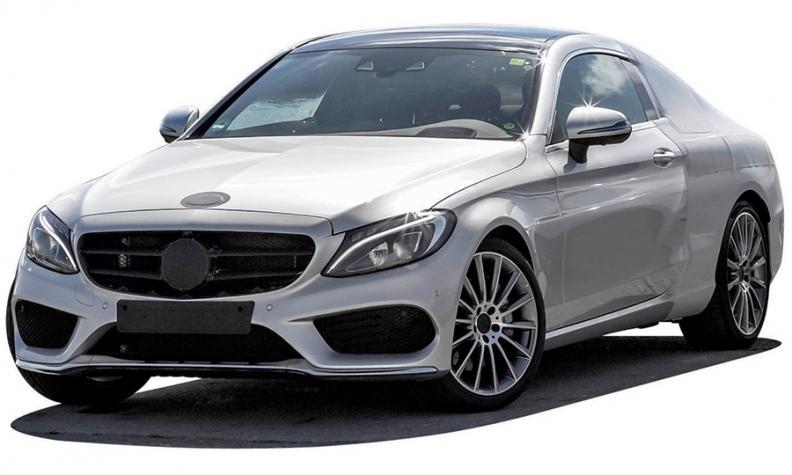 A preproduction version of the sleek C-class coupe arriving in the U.S. next spring. SAN FRANCISCO -- Mercedes-Benz will trade practical benefits for more sporty exterior styling on the redesigned C-class coupe due in the U.S. next spring. Reduced rear seat room and less trunk space are the price Mercedes will pay for a sleeker roofline, vehicle line chief Christian Frueh said during a prototype drive here last week. Gorden Wagener, Mercedes' chief designer, says he fought hard for the shape of the C-class derivative, which will be unveiled at the Frankfurt auto show in September. The fresh design approach required the rear seats to be pushed forward and the roofline lowered by 1.6 inches compared with the current model. Frueh's team has seized the opportunity to create a more sporty vehicle. The passengers sit almost an inch lower and the center of gravity has been lowered accordingly. With sharper steering and a retuned suspension, the C-class coupe will out-do its four-door sibling on the track. The wide-body Mercedes-AMG C63 Coupe version will have unique side panels, giving it a different look from the standard coupe. The U.S. lineup will include the 241-hp C300 Coupe -- powered by a 2.0-liter, four-cylinder engine -- which will start at just under $40,000. Two models will use Mercedes' 3.0-liter V-6: the 329-hp C400 Coupe and the 362-hp C450 AMG Coupe. All-wheel drive will be optional. Mercedes-AMG will offer two top-of-the-line wide-body models: the 469-hp C63 Coupe and the 503-hp C63 S Coupe. The subbrand will launch a fabric-top convertible next year.